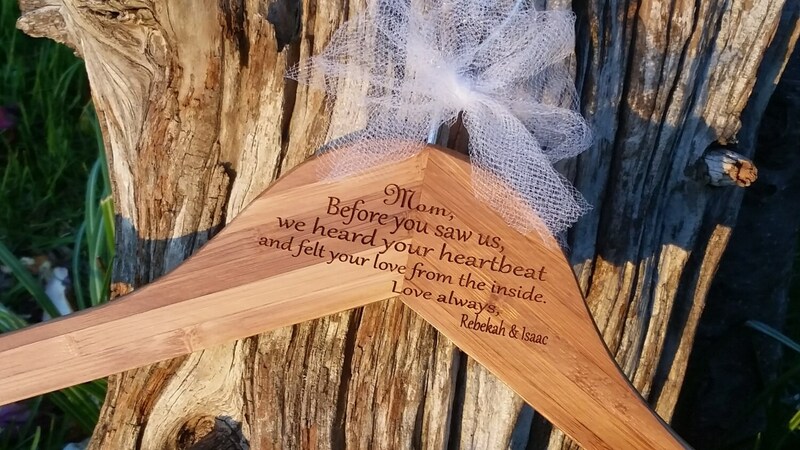 Looking for a beautiful unique keepsake gift for the mother of twins? 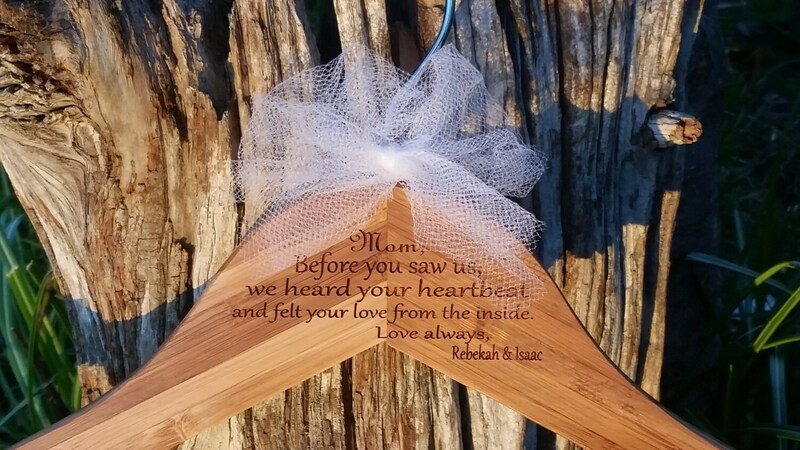 Engraved with our laser machine this hanger will become her very favorite! Hanger can be engraved with the following or customized as per your request. we heard your heartbeat and felt your love from the inside. Want something else engraved on either side? Just contact us or let us know what you would like in the message to seller at checkout. QTY: 1 bamboo hanger custom engraved. Let us know your mom's favorite color and we will tie a beautiful bow out of ribbon or tulle that color.